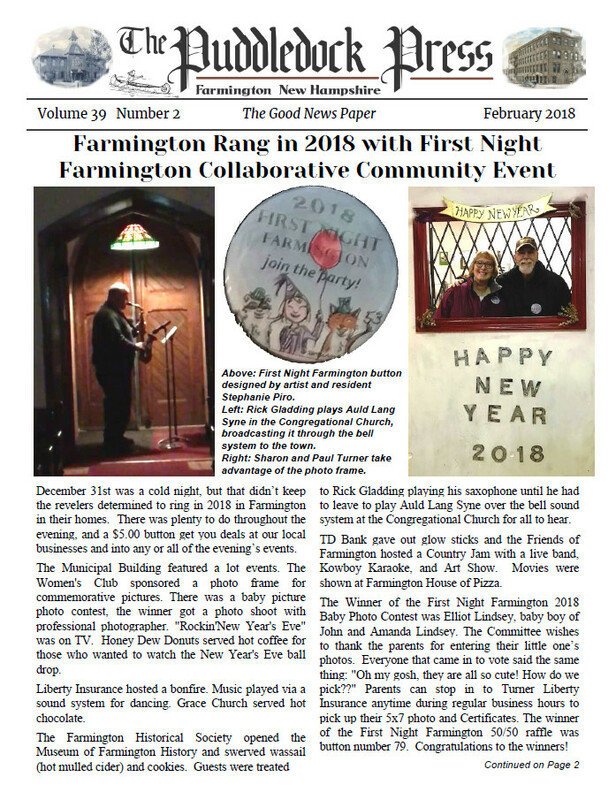 The February 2018 edition of the Puddledock Press is now available! You can find it online and in many of our local distribution sites. The issue will be at all our distribution locations in the coming week. Visit your local Farmington carrier of the Puddledock and get your issue now. Hope you enjoy it. If you like your Puddledock delivered, both email and snail mail subscriptions are also available.